Is Artisan Ice Cream Dying? Here’s my report from the SIGEP (the ice cream convention) in Rimini. 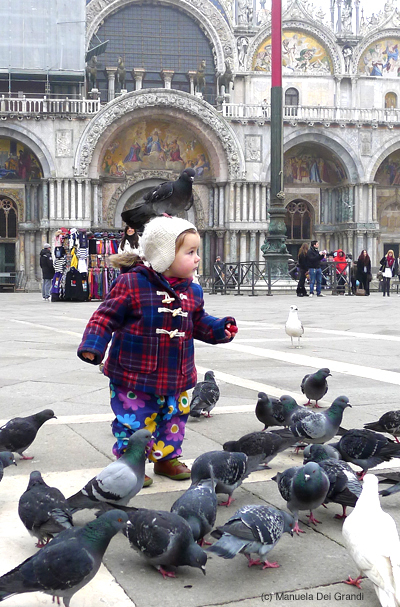 Róisín in Piazza San Marco. Photo courtesy of Manuela Dei Grandi. 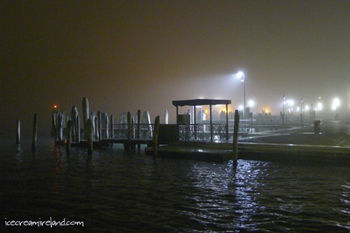 The family and I have headed off for a little break in Venice, where it’s foggy and mystical this time of year. We’re staying in Sant’Elena, a quiet island a bit at the periphery, but still within walking distance of Piazza San Marco. It’s the island where my partner was born. I’ll post more when I get a chance! I’m off to London and then Venice for a little break (Manuela’s uncle has an empty apartment there and flights worked out at €6, including taxes 🙂 ). Although my credit card is a bit strained, I couldn’t stop myself buying the above D-Lux 5, which has come down in price, for the trip. Although I love my Nikon, I’m getting tired of lugging it around. I’ll let you know how I get on, and if it was worth the money. 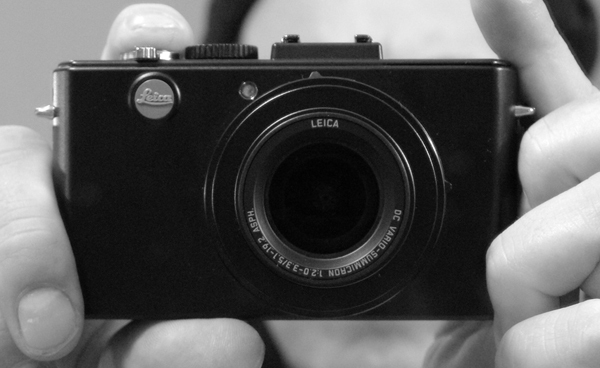 If this little Leica can’t take good pictures in Venice, the most beautiful of cities, it truly will have been a bad buy! 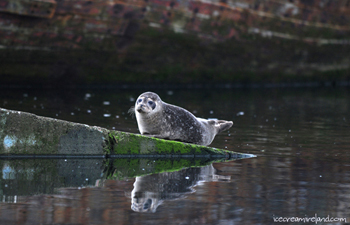 Fungie is clearly not the only mammal who finds Dingle an attractive place. 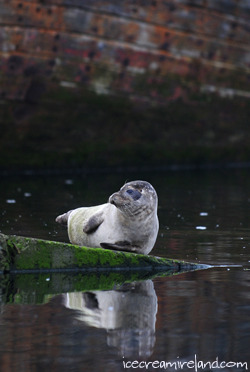 For the last few weeks, and seal has taken up residence on the pier next to my parent’s house in Cooleen. I think it’s a pup or perhaps just a small one. In any case, he’s very, very cute. Naturally he’s not there all the time, but if you want a chance to see him, walk along the breakwater where the Fungie boats are parked. Look for the old wreck of a boat. The slip is just in front of it. Let’s hope he sticks around! Kieran Murphy is a director of Murphys Ice Cream living in Dingle, Co. Kerry, Ireland. Please ask if you wish to use text or images. Copyright (c) 2006-2016. Murphys Ice Cream has shops in Dingle, Killarney and Dublin 2 (Wicklow Street). My opinions on this website, as well as all comments, images, videos and any other type of material posted by visitors to this site do not necessarily reflect the opinions or ideas of Murphys Ice Cream or its employees, and the company Murphy's Ice Cream is not responsible for any such content.